As always, to make sure your business is prepared and stays in compliance, we recommend that you discuss Kentucky minimum wage laws with your accountant and lawyer. This article does not constitute legal advice. In many states, the start of 2019 meant a new minimum wage. While there is a federal minimum wage, which has remained unchanged for many years, some states are taking it into their own hands to pay workers a higher wage. As a small business owner, it’s important to stay in touch with what’s happening with the minimum wage in your home state. We’ve got your back, Kentucky small business owners. The minimum wage in Kentucky matches the federal minimum wage of $7.25. Federal law says whichever wage is higher, federal or state, will be paid to workers. Some workers are exempt from being paid the minimum wage, including tipped workers, students in high school and college, and certain disabled workers, if they have a certificate from the Kentucky Department of Labor. The minimum wage is currently not slated to change in 2019. However, Kentucky State Senator Reginald Thomas (D) pre-filed a bill in November 2018 that lays out a plan that would raise the state minimum wage to $15 an hour. This is the second time the senator has proposed a bill like this. Are there plans to change Kentucky’s minimum wage beyond 2019? There are no official plans to increase the minimum wage in the near future. However, Senator Thomas’ bill would raise the minimum wage each year until 2026, when the wage would be $15 an hour. The bill proposes raising the minimum wage to $8.20 on July 1, 2019. Then the minimum wage would go up to $9.15 on July 1, 2020, and $10.10 on July 1, 2021. 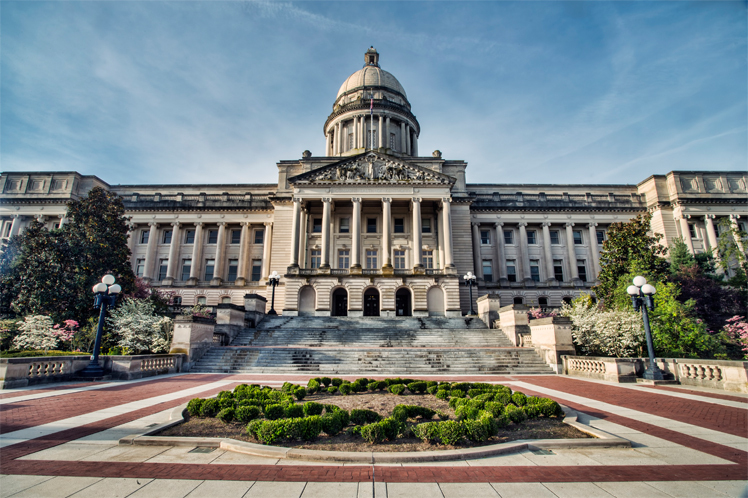 While there are no official changes to the minimum wage on the books for Kentucky, it is wise to be prepared for the future to ensure the financial health of your business. Start by hiring a good accountant. An accountant can help you adhere to any federal and state laws to ensure your business remains in good standing. Then do a cost analysis to find ways to save, so if you do have to start paying your employees more, you’re prepared. Next, invest in your team. One of the best ways to minimize costs is to minimize turnover in your staff. Hiring the right people and successfully onboarding them is important. You should also think of ways to retrain your staff to ensure performance is high and staff members feel equipped with the skills to do their job. If you do have the money, preempt any changes to Kentucky’s minimum wage by giving your staff regular raises. Providing a living wage may help with employee retention.